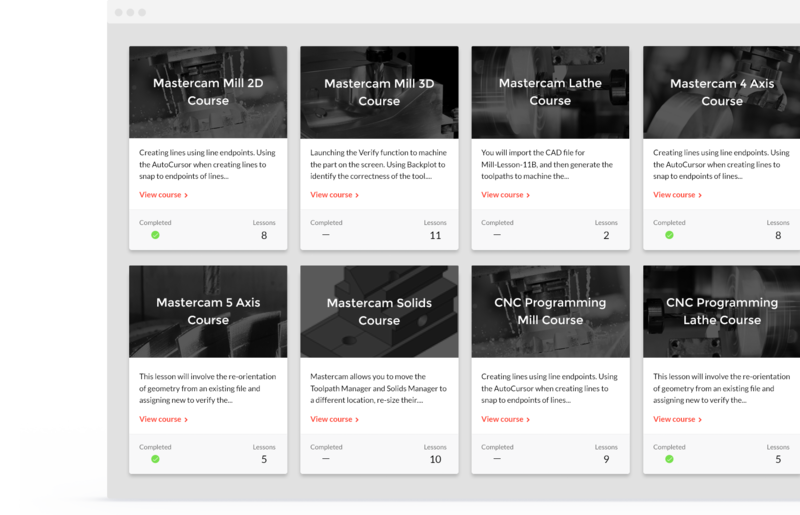 The Mastercam Premium Bundle features the option to take a hands-on test featuring the creation of a real part and grading by a camInstructor instructor. 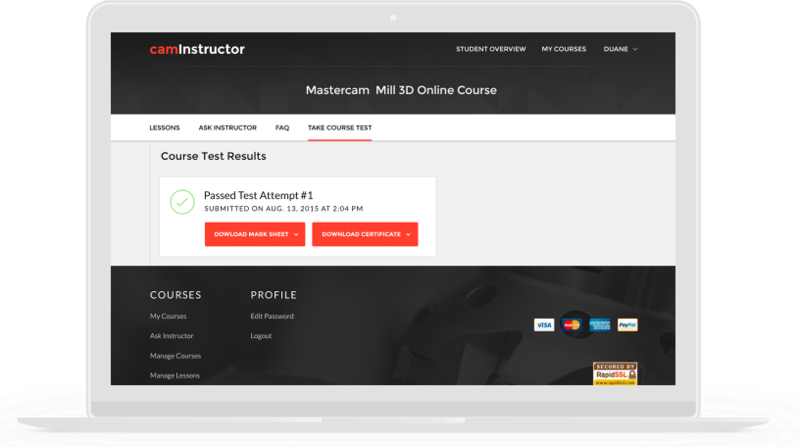 Certificates are awarded with each test, certifying that the student passed a comprehensive camInstructor test on that module. Certification Tests. Earn a certificate in each of the Mill 2D, Mill 3D, Lathe and 4 Axis courses upon successful completion of course test. Certification Exam. Earn a certificate for certain courses upon successful completion of course exam.